This is my interpretation of Pizz'a Chicago's Joliet Jake. The pizzas are named after Chicago landmarks and notable personalities, and are made with a wide range of ingredients. 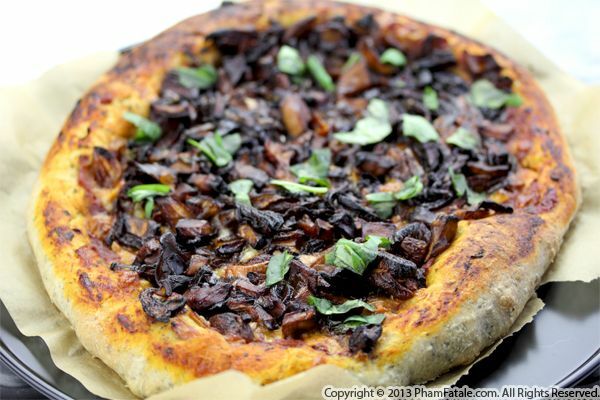 The Joliet Jake is a vegetarian pizza which consists of four varieties of mushrooms: shiitake, Portobello, crimini and button with shredded mozzarella cheese, dried apricots and fresh basil. I tried to stay true to the Chicago-style deep dish pizza and baked the pizza in a non-stick round pan until the top was golden, the cheese bubbly and the crust golden brown, then served it while still piping hot. 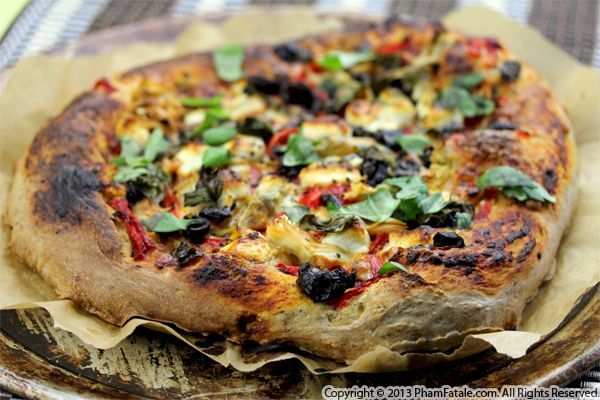 Here's a pizza that's not only delicious, but will take you no more than 10 minutes tops to prepare. 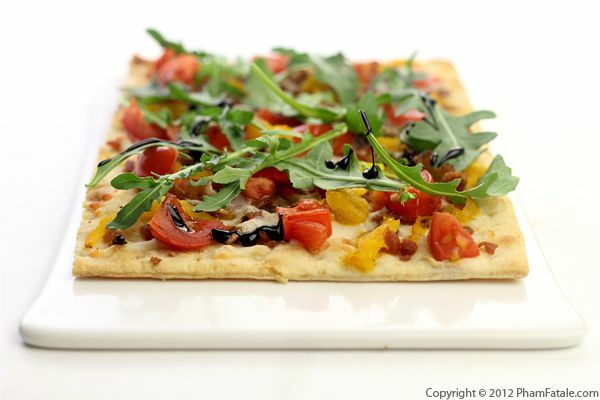 I used California Pizza Lavash bread and topped it with colorful elements: turkey bacon and a bit of feta cheese for the base, covered with yellow bell pepper, freshly cut juicy tomatoes, arugula and a drizzle of balsamic syrup. You can't beat that. Moreover, it's quite healthy (just make sure to control the portions of bacon and cheese).